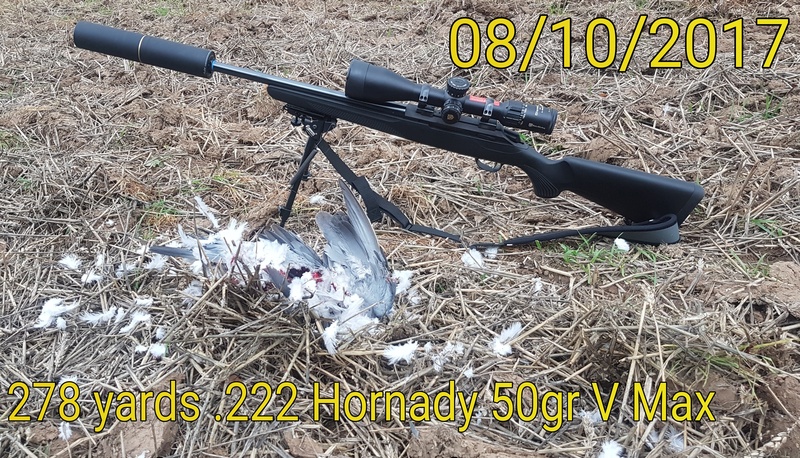 Just been out for a quick hour with my .222 not much about so thought I would try a long range pigeon. now this was the longest shot I have ever attempted at 278 yards measured with the laser. strelok said I would need 12 clicks adjustment for elevation and there was not a breath of wind. I have never used a chronograph to check velocities etc and only used the information available from hornady when inputting data into strelok. I would say my rifle is performing very well without the need to reload. that said it is the most expensive pigeon I've ever shot ! I love it if I'm honest! Good way that is. Nothing wrong with 222. Indeed, nothing wrong with a .222, but the .223 seems to work ok to! Super accurate round overshadowed in popularity these days by the 223 but not on performance. 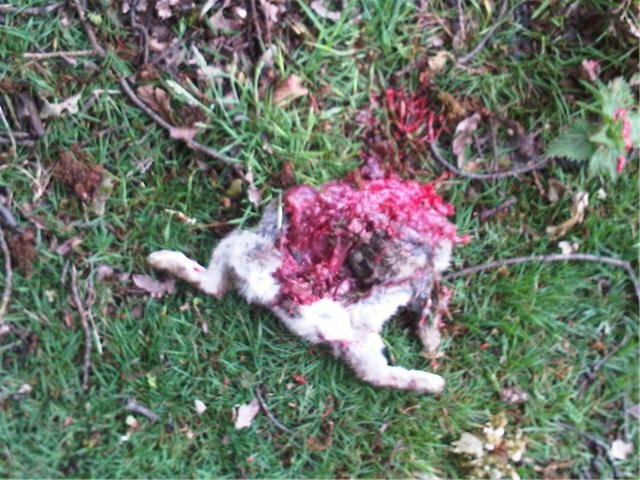 Some shot there belly , well done mate ! To be honest I don't remember, but I'm confident it wasn't as far as the pigeon, somewhere between 100-200 yards I think!